When you bring your vehicle in to Berglund INFINITI of Roanoke, you can be certain your INFINITI is in good hands. With expertly trained technicians, no one knows your INFINITI better than we do. We also offer genuine INFINITI parts. These are the only parts specifically designed to optimize the performance of your vehicle. From routine maintenance to repair, we are here to care for your INFINITI throughout your ownership experience. Is your INFINITI in need of a service performance? Visit Berglund INFINITI for expert servicing on your luxury vehicle. Our technicians are well-trained and certified to provide you with exceptional maintenance and repair. Experience automotive excellence by bringing your vehicle to our Roanoke dealership! When you are the owner of a luxury car, you can’t entrust your vehicle’s servicing to just anyone. You need to be sure that the technicians who conduct your INFINITI’s maintenance and repair are knowledgeable about the services that they are performing. 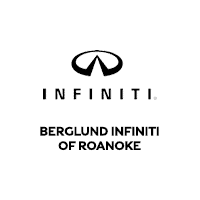 Here at Berglund INFINITI in Roanoke, you can be sure that you will receive exceptional servicing in a timely manner. From oil changes to transmission replacements, we are dedicated to providing top-tier customer service and maintenance options for you! Whether you are the owner of a new INFINITI or pre-owned vehicle, you can feel confident that your INFINITI will be taken care of the right way. Would you like to schedule a service appointment at our dealership? You can make an appointment for maintenance or repair by scheduling online, or by calling our INFINITI service department. Allow our staff to demonstrate our commitment to excellence by assisting you with the upkeep of your luxury vehicle! If you’re in need of a service, come on into Berglund INFINITI today. We’re ready to help you in any way that we can.